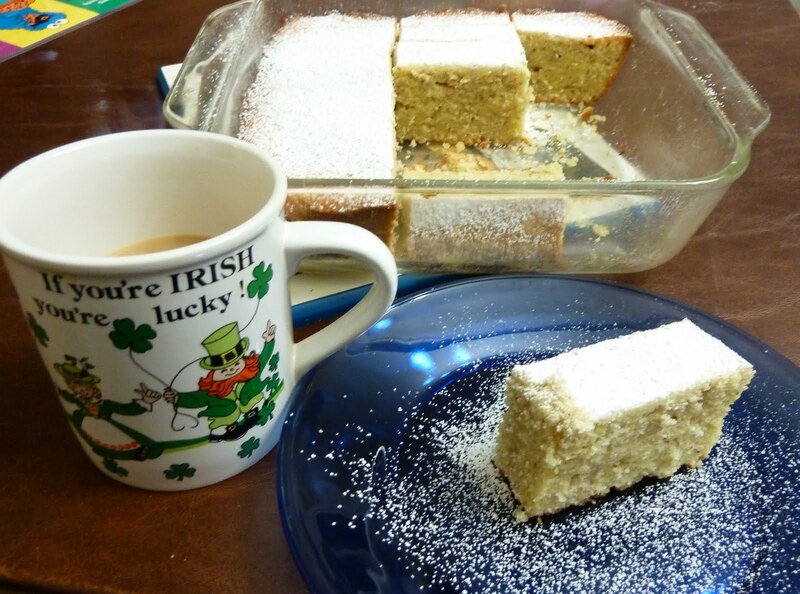 I made a lemon whiskey cake for St. Patrick's Day this year. It was an odd recipe from an Irish Heritage Cookbook. The "lemon" in the cake came from soaking lemon zest in whiskey (I used Jameson's, naturally) and then discarding the zest and using just the whiskey. Although the cake contained almonds and the lemon-ated whiskey, it was kind of bland. Ha ha, a bland Irish recipe. Well, this (half) Irish lass isn't laughing, but she might add more flavorful ingredients if she makes it again.